5.21.11 | Johanna and Bob had their beautiful wedding at Second Presbyterian Church in Indianapolis, IN. This was the first wedding where I wasn’t allowed to take photos of the actual wedding so you won’t be seeing any pictures of it, but I have plenty more to show. Their wedding was simple and elegant with navy accents and a nautical theme throughout. Can’t forget about Lilly, their cute little dog. She wanted to be a bride herself with her cute veil. 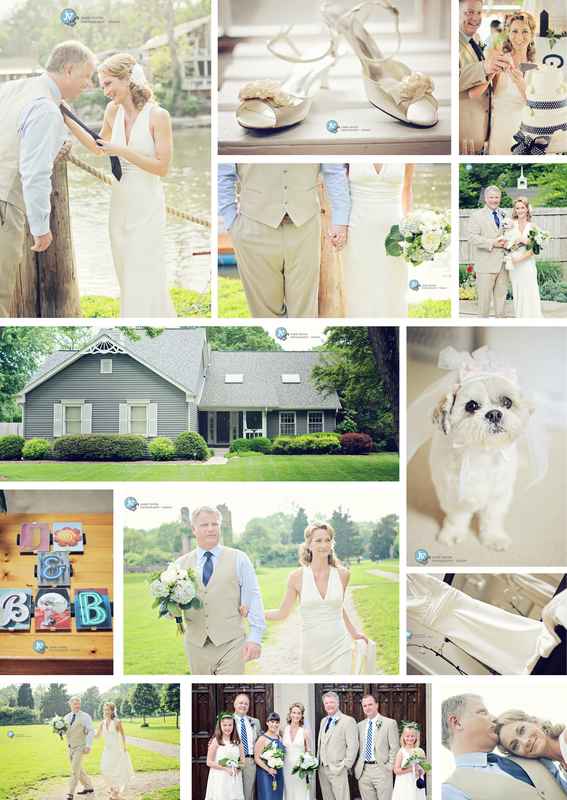 Their reception was at White River Yacht Club in Indianapolis. This venue was decorated with a nautical theme and a live band that overlooked the White River. Johanna and Bob are such a great, fun couple and very easy going. We went to Holiday Park to take some photos in between the wedding and reception for a change of scenery. Thank you to both for letting me be a part of your wonderful day.